Aging of the skin, dermal components and cells, means that the skin texture and appearance deteriorate. Aging affects the hands and soft tissue of the face. This is characterized by sagging, jowls, thinning of the skin, puffiness, age spots (lentigines) and wrinkling (forehead, cheeks, neck and décolleté). Skin texture changes and dryness is a problem. A new approach, appealing to clients seeking a more natural method to facial rejuvenation, is regeneration with your own cells and more specifically, autologous platelet-rich plasma (PRP). This is also referred to as autologous cellular regeneration (ACR) an aesthetic practice, which is a safe and tolerable procedure. Platelet-Rich Plasma (PRP) has been utilised in aesthetic medicine (UK, Japan, Asia, Europe and Australia) to rejuvenate and slow down the aging process. 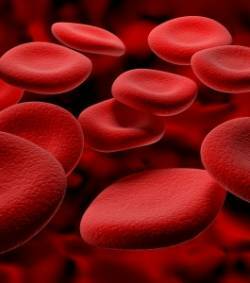 PRP is the source of concentrated platelet content present in blood. Apart from assisting blood clotting, platelets also release growth factors that assist the human body to repair itself by stimulating cells to regenerate new tissue. Today, platelet rich plasma can easily be separated from blood, through a process of centrifugation. Using your enriched plasma permits the body to heal faster and more efficiently. Because your plasma (autologous) is used, there is no danger of disease transmission, anaphylaxis or neoplasia. Preparation is simple and quick, and completed on the premises in the appointment time. No products are sent off-premises. Prior to treatment a blood sample of 10 – 20 mls is extracted from the patient. This blood is immediately placed in the centrifuge for 5 – 8 minutes. When centrifugation is complete your Plasma will be separated into three layers: (1) platelet – poor plasma, ( 2) red blood cells , and (3) the ‘buffy coat’ (i.e. platelets and white blood cells) from your red blood cells. The rich platelets are extracted from the base of the plasma gel. The platelets are injected into the deep dermis or fat layer of the skin. Platelets gradually increase collagen which can increase skin thickness and overall health of the skin. Approx. 45 mins to 1 hour per two test tubes. Modest: Some patients may feel faint. A bruise at the venepuncture site may be visible for 2-3 days. Severe: A low morbidity procedure. Almost no down time. No need for hospitalization. Anaphylaxis does not occur. In rare cases, skin cellulitis may occur which can be treated with antibiotics and cold compresses.